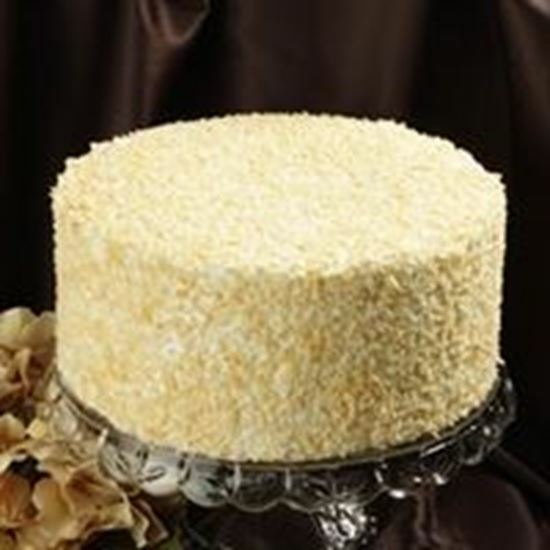 Toasted Coconut Pineapple Cake - 9" round with 4 layers. This cake consists of four layers of Coconut cake. Filled with Vanilla buttercream and pineapple preserves. Iced with a Vanilla buttercream. Garnished with toasted coconut. Serves 12 -18 slices. Enter your email address to receive all company news, special offers and other discount information.